In cellular degradation assays, treatment with CC-220 results in the loss of Ikaros protein levels with an EC50 of 1 nM compared to 67 nM for lenalidomide and 24 nM for pomalidomide. CC-220 is similarly potent toward Aiolos, with an EC50 of 0.5 nM compared to 87 nM for lenalidomide and 22 nM for pomalidomide. 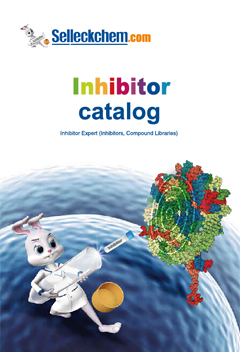 CC-220 is a potent anti-proliferative and pro-apoptotic compound that shows activity in several MM cell line categories with differing sensitivity to lenalidomide, pomalidomide and dexamethasone. CC-220 induces PBMC-mediated killing of all MM cell lines regardless of the level of Cereblon expression and cell autonomous sensitivity. CC-220 acts through binding of Cereblon, leading to the degradation of the hematopoietic transcription factors Ikaros and Aiolos, followed by disruption of the MM promoting c-Myc/IRF4 axis. Matyskiela ME, et al. J Med Chem. 2018, 61(2):535-542. Chad C Bjorklund, et al. Blood. 2016, 128:1591.